In the '70s, wine was at the forefront of the American beverage industry, and early 1980s began making waves internationally, driven by the red wines of California. And to those who dreamed in beer, an appetite for bigger, bolder Californian wines showed potential for bigger, bolder, and more flavorful beer. For Deschutes’ Fish, the connection to wine was much closer. Fish’s father had been involved in the Northern California wine renaissance in the late 1960s and early 1970s and chatted about this “new thing in beer” with his son as Gary looked for his next career step beyond restaurants. If wine glasses could be filled with new flavors, so could pints. Fish wasn’t a homebrewer, but like the Conways and numerous other beer entrepreneurs that year, he saw the budding consumer trend away from the homogenous commodities that took over the nation following World War II, including beer and its mass-produced light lagers. People wanted something different, but they didn't know it yet. And they certainly couldn't find it easily. Not in stores. Not in bars. “There wasn’t wholesale demand. There were no customers,” Fish said. “No one would take a Bud handle off to put one of ours on, so we had to band together to build an industry and create a marketplace, share the message, and become craft beer. Each of these pioneering breweries started small by necessity. At the time, microbrews -- as they were called -- made up less than 1% percent of the overall beer market. The big breweries of the time all made similar beers, and Anheuser Busch, Miller, Coors, Stroh’s, and the like weren’t going to adapt to a nonexistent market segment. Risk-taking entrepreneurs, however? Why not? 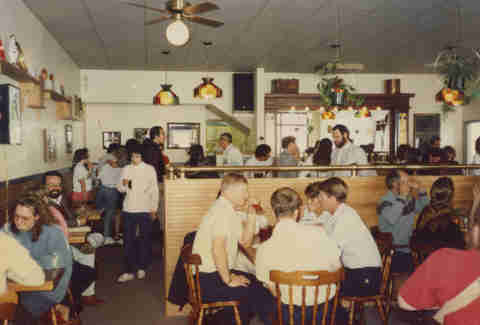 With no distribution market, most of these breweries in 1988 opened as taprooms, offering a direct access point to consumers and letting word spread. It took most of these breweries several years to move beyond the four walls of their brewpubs and into bars and retail outlets. Once the breweries started distributing, it was an uphill battle to build a community of consumers interested in their products. That was a tough sell, considering most people hadn't heard of the styles. 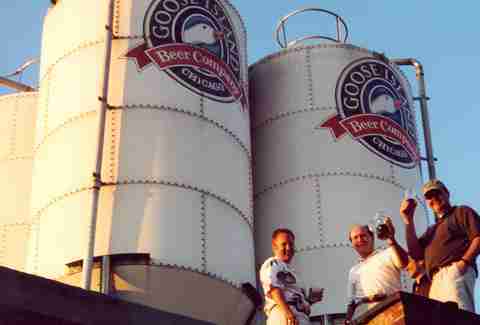 When Goose Island opened, Hall served up six beers in a range of flavors and colors. Breweries at the time weren’t inventing new beers as with today’s hazy IPAs, pastry stouts, and glitter beers. Instead, brewers simply were imitating traditional styles that weren’t widely available in the US, most of which originated in Europe. Honker’s Ale, an English-style ESB (extra special bitter), wound up being the brewery’s flagship. As the Midwest and nation’s beer preferences subsequently shifted, the ESB took a back seat to many of the other beers Goose Island produces today, including the beloved Bourbon County Stout. And Hall, who’s no longer day-to-day at the brewery, is happy to see beer has come full circle. “We just celebrated the 30th anniversary and we did a collaboration with (British brewery) Fullers,” he said. “They were my model -- Honkers was a copy of London Pride. If London could have a hometown beer, why not Chicago?" In another Midwestern city, Great Lakes launched with two German-inspired beers: Dortmunder Gold and Eliot Ness Amber Lager. Both are excellent beers for a blue-collar town that hadn’t yet made a dynamic swing toward more eccentric consumables. Those beers helped pave the way for bolder varieties like Edmund Fitzgerald Porter, Burning River Pale, and Christmas Ale, all released a few years later to great acclaim among the brewery's rabid fans. While Edmund Fitzgerald is a standard bearer of porters, there’s another example of the style in Oregon, a beer that helped build Deschutes. Black Butte Porter wasn’t the best seller at the Deschutes pub, but it was the one that grabbed distributor’s attention. The distributor told Fish he felt the dark beer was the one that could make it in the marketplace. Beers like Edmund Fitzgerald and Black Butte helped push adventurous drinkers into a bold new flavor profile. Likewise, California’s North Coast started brewing its big, boozy, jet-black Russian Imperial Stout Old Rasputin in its early days of 1988, while its Red Seal Ale and Scrimshaw Pilsner became staples on beer shelves in much of the nation. "We just dinked and dunked and experimented and we hit that home run." On the other side of the country, Brooklyn Brewery opened, brewing Brooklyn Lager, a true Vienna-style lager, hitting shelves with an eye-catching "B" logo by famed designer Milton Glaser that draw eyes and usher in an era where eye-catching labels were a surefire way to grab attention. Back in Oregon, Rogue’s flagship, a mild hybrid ale/lager called Dead Guy Ale, wasn’t even intentional when it was released, Joyce said. The now-ubiquitous 22-ounce bottles Rogue used gave the brewery the ability to continue its experimentation, pushing out new beer after new beer, a practice that won them legions of fans. While most of Rogue’s beers were traditional European styles or newer craft-innovation, some of the products were pure creativity (maple bacon beer, anyone?). Rogue also became a model of diversification in brewing companies, spawning nine brewpubs in Oregon and Washington, as well as Rogue Farms, Rogue Spirits, and Rolling Thunder Barrel Works, integrating as many steps and ingredients as possible. “At some level, we’re hopeless entrepreneurs and we love doing things that are fun to do, hard to do, and that we can learn from,” Joyce said. “The crazier a project sounds, why not? I just hope we keep doing things, taking on projects that we’re all proud of, and to dare, risk and dream." In the intervening decades, craft beer has become ubiquitous, growing to more than 7,000 taprooms nationwide. IPAs, ESBs, and porters are commonplace. Barrel-aging is huge. Sours are everywhere. Haze is king. And yet despite the growth of the industry they helped jolt into life, the standouts who got their start in 1988 haven't rested on their laurels. Sure, oftentimes people pass them up for the hot new thing -- Deschutes actually announced layoffs of 10% of its workforce recently. Still, the class of '88 breweries continue to wield tremendous influence. As they did when they launched ESBs and IPAs on an unsuspecting public that didn't know any better, they still serve as relative early adopters to trends, introducing masses to new styles, just like they did when everyone was concentrated on drinking what Spuds MacKenzie and bikini-clad women were slinging. They're still doing their part to change a game they helped invigorate as legacy breweries that still have the capacity to surprise. Lovers of history, as evidenced by their beer names and neighborhood preservation, the Conways have done their best to preserve Great Lakes’ future, announcing an ESOP in the spring and a plan for expansion in another part of Cleveland, further cementing itself in the fiber of the North Coast's ever-expanding beer scene. As Great Lakes has continued to weave itself into the fabric of Cleveland, and the Midwest, Brooklyn has made massive strides in changing the public’s relationship with beer. 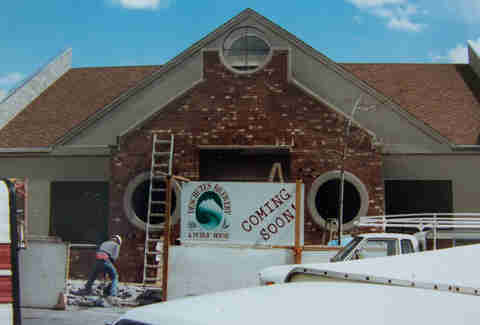 In 1994, Garrett Oliver joined as brewmaster. Few have done more to help people fully enjoy and understand beer -- especially in its relationship with food -- in the past 24 years. Beer dinners, now as common as tap takeovers, were an anomaly before Oliver made matching food and beer as normalized as wine pairings. 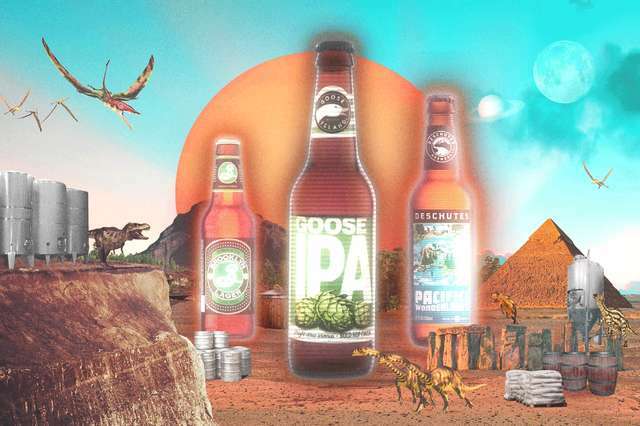 Goose Island, another food-and-beer pioneer, has grown beyond the Midwest into worldwide distribution with AB InBev, but Hall said that growth also means more variety for everybody. While some staunch craft beer enthusiasts felt betrayed by his decision to sell the brewery, Hall believes beer should be drunk for quality, and the industry will never be dominated by one brand as it had been for the second half of the 20th century. Now with nearly 7,000 breweries in the US, AB InBev has no choice but to pay attention to the craft industry that big beer (and small-town bankers) dismissed long ago. The industry has changed innumerably since 1988, but not all for the better. The beer world got bigger, and as it did it got less personal. Fish wasn’t necessarily talking about Deschutes and its brethren, but the older legacy craft brewers have lost a step to some of the breweries that have stormed into the industry with new beer styles and, at times, unexplainable hype. Still, some view the elder statesmen label is a badge of honor. “Now that we’re officially your dad’s beer, I look at that list [of ’88 breweries] and these are people who have really done yeoman’s work: they’ve all made really great beer, taken care of their staff and communities, and all forged different paths,” Fish said. “We’ve innovated and created... for more than three decades in this environment. Early on the enemy was ambivalence to beer. Today, the enemy is ambivalence to hyperextension of variety. Pat Evans writes about food, beverage, and sports business from his home office in Las Vegas or his parents' couch in Grand Rapids, Michigan. His book about the often underrated Nevada Beer scene was released this month. Follow him on Twitter @patevans.